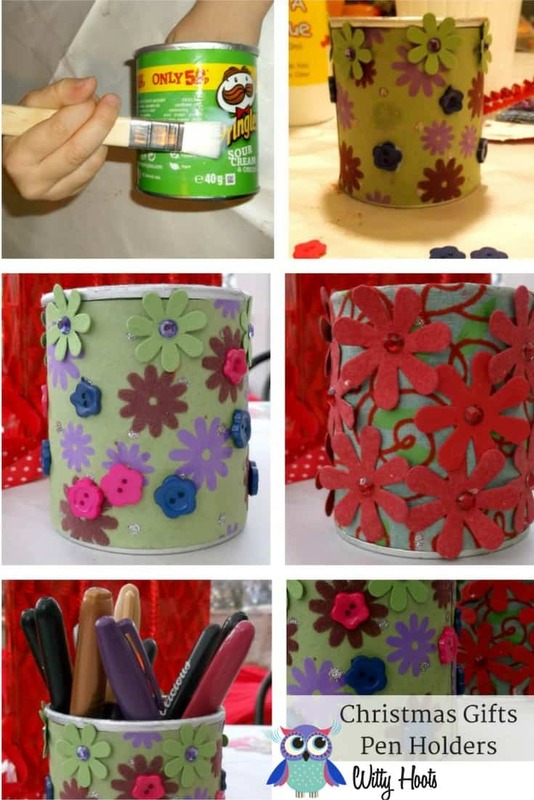 Want to make a pretty and useful gift for your kids for Christmas? Peakles and I have been thinking about gifts that we can make for the grandparents for Christmas. Peakles she really enjoys drawing and writing when she visits, so we decided that some pretty pen holders would be the ideal gift! First, we wiped out the containers and made sure they were dry. Then we cut a length or material or wrapping paper that would fit around the middle of the tube. Peakles covered the outside of the tube with glue and then we carefully stuck down the material until the whole tube was covered. After the glue and paper dried, we decorated it with buttons, paper flowers and jewels. We liked these so much that we made another which was covered in red flowers and we thought this was very festive too. We plan to make some more before Christmas and our ideas include a tartan one, a brown one with string and buttons and we also want to make a fancy one with lots of pearls on it! Why not try making some designs of your own, maybe based on a hobby or the favourite pet of the person you are making it for? We love our pen holders and cannot wait to give them as presents this year. We hope you enjoy making them and if you want even more ideas why not check out more from the Kid-Made Gifts Series! Peakles and I really enjoyed making this Festive Pen Holder Gift and cannot wait to try out more ideas too! 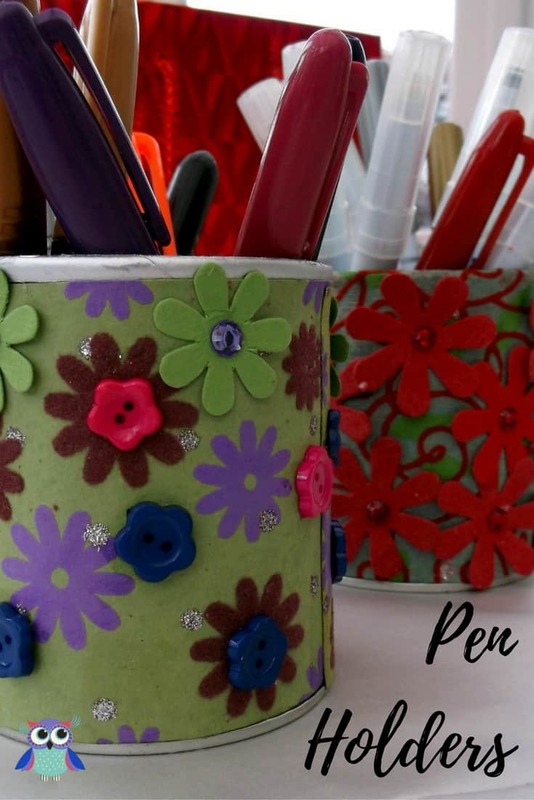 Teach Me Mommy is hosting a blog series dedicated to Kid-Made Gifts for even more ideas! Click on the links or the image below to find out about how to create lovely gifts and keep the kids occupied during this festive season. These are beautiful! The output doesn’t look at all like a recycled can anymore.